– In creative writing classes, we are often told, “write what you know.” I amend that in my own writing to “write something inspired by what you know,” with an emotional truth that resonates but without the messy attempt to reconcile an actual experience with a created one. Zahra, the Egyptian mother character in my novel, is much different than me, but experiences many of the same experiences I did while engaged to an Egyptian and visiting his family in Cairo for eight days. Zahra also experiences the joys and tribulations that come with self-sacrifice for a sister and child, which I experienced while growing up with a younger sister who I often cared for after school while my parents worked late hours. However, there is one part of Zahra’s experience that is completely foreign to me, that required the most amount of research, and that most of you reading this review would be able to write from experience: birth. I have never given birth. And not only have I never given birth, but I was that girl in health class who averted her eyes during the video on birth so as not to pass out as the baby forced its way out of the mother’s womb. I don’t even like to talk about birth. I love children and plan on having two later in life, but until then, I plan on remaining as blissfully unaware as possible about the final steps so that I don’t chicken out and change my mind. 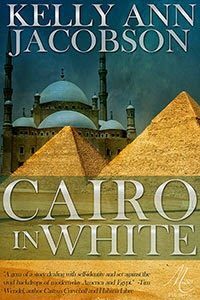 So you can imagine my internal struggle when I realized that the mother-daughter split narrative in Cairo in White absolutely required a birth. How could I show the invisible bonds connecting mother and daughter without one, as well as the bonds between Zahra and the adopted maternal figures she finds when she moves to America? A birth scene was essential, but unlike most of the other scenes in Cairo, I could not rely on even the slightest bit of personal experience. Thank goodness for the internet. I researched information about the birthing process, switching between my document and Google every few seconds when I needed a term. I looked up step-by-step explanations of the nine months leading up to birth. I read blogs. And as I wrote the emotional scene between mother/child and mother/maternal figures, I developed both intellectual understanding of the process and appreciation for mothers the world over who have gone through it. Someday I will have my own children and be able to write my own birth scenes from what I know, but until then, thank you to every woman who has given birth and written about it. 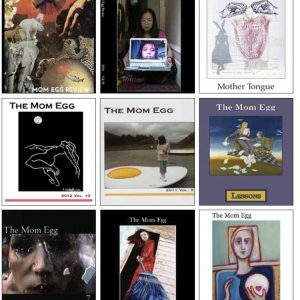 Because of women like you, girls growing up in 2014 can simply plug a question about pregnancy or birth into a search engine and find hundreds of sites that can help her through those nine months and beyond without having to rely solely on knowledge passed down through her family, or knowledge gained through guess-test-revise. Because of you there is a community just one click away, ready to help any young woman who, like Zahra, is in need of maternal guidance. In the hospital, everything was as white as a bleached shirt and just as clean, the nurses as orderly and timed as the bird in a cuckoo clock. Charlotte tried to distract Zahra from the pain with questions about Egypt or her family, about the baby and all of the activities they would do together once the girl was born, but mostly she just held Zahra’s hand and let her squeeze so tight she would have nail marks for weeks. But Zahra could not even feel her breathing through the contractions that came faster and more frequently with every few minutes that passed. Charlotte conferred with the nurses, who seemed confused by her vocabulary and commanding demeanor when she said things like “the amniotic sack ruptured over an hour ago” or “the early labor must be over, since she’s over four centimeters at this point,” and eventually they started reporting to her as they would a doctor responsible for the child’s birth. The actual doctor treated Charlotte like one would a small, energetic puppy, trying to calm her with a soothing voice well-practiced on children with earaches and old women with a notepad full of medical questions. Zahra was grateful for this façade of control; were she lying in these rough cotton sheets alone without her small friend barking orders or ordering her to eat ice cubes, the whole whitewashed world would have come crashing in like a tent without one of the stakes. Kelly Ann Jacobson is the author of the literary fiction novel Cairo in White and the YA series The Zaniyah Trilogy. Kelly recently received her MA in Fiction from The Johns Hopkins University, and she is the Poetry Editor for Outside In Literary & Travel Magazine. Her novella, Three on the Bank, is forthcoming from Storylandia! this summer. 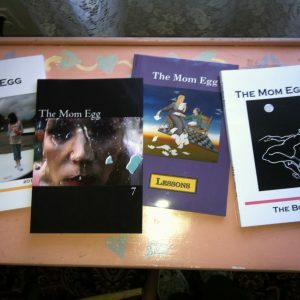 Her work, including her published poems, fiction, and nonfiction, can be found at www.kellyannjacobson.com.